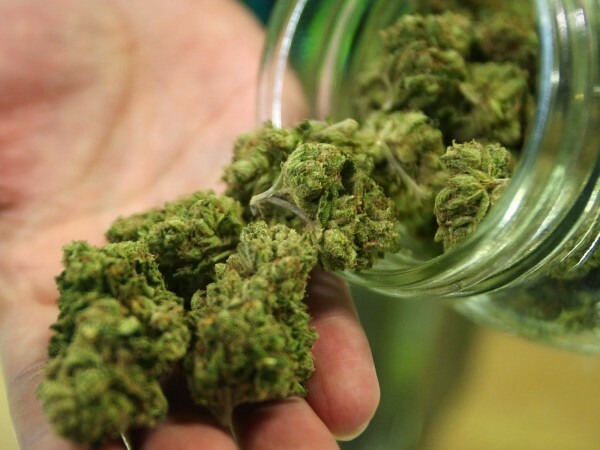 This True Story of a Woman Who Has Used Medical Marijuana Will Leave You Speechless.. I am a 49 year old female that has been very sick since 2 years of age. In and out of the hospital multiple times. I was always very tiny and underweight. Medical doctors tried all types of diets, medications and anything else they could dream of to try to help me with physical problems just from being underweight and causing so many problems on my organs. When I was 16 years old I was in two major accidents. The first one was when I fell out of the back of a pickup and landed on a huge rock on my head and knocked me out. A few months later I was at the dentist and they over dosed me on medications and sent me into a coma for 3 weeks. I was up at Oregon Health Science University and when I was able to go home I had to have tutors and nurses help me relearn skills. From that point in my life I didn’t believe much in any type of medical doctor. I started researching natural herbs and supplements and went to several naturopathic during this time. I tried lots of different treatments including Reiki, Reflexology, Cranial Sacrum Therapy, Chiropractic, Acupuncture, Ying & Yang, Meditation, Religious and nothing seemed to be helping and I was still going downhill. My children (I have 4) would come home and find me passed out on the floor and no responses from me. In October of 1999, I ended up having to have breast surgery and just more than half of my right breast had to be removed due to cancerous lumps that I was told could return. My breast tissue has remained perfect and in fact some tissue has even re-grown. My new mammograms are remarkably clean they are so impressed! In January 2009, I started to gain weight very fast and could hardly eat a thing as I couldn’t keep anything down but still managed to gain 45 pounds in 4 weeks. Going to the medical MD’s again they found I had a lot of female issues and I opted for a full hysterectomy in November 2009. Immediately after surgery I was complaining of symptoms that are literally impossible to have just having this surgery completed, however, I was sent home. I returned to the hospital 3 times and by 2 days after the surgery I couldn’t walk at all I was in so much pain, bleeding, head was going to explode and no one could touch my skin anywhere. Admitted back to the hospital found I had an infectious disease from Israel that had never been diagnosed in the US and I have NEVER left the country. I am now told I was most likely born with this and that it became live during my surgery. I don’t think so but at this point whatever! Go thru the MD’s treatment (was to be 1 year) and I did 2 months because then I lost almost all my hearing, needing a walker to walk, falling down continually, neuropathy out of control from head to toes and continued to not be able to walk as time went on. I told myself at that point I was done with medical MD’s and I went and returned to a new Chiropractor and he was able to help me quite a bit with Chinese Healing Methods and found out that I had Multiple Sclerosis, known as MS. I would continue with natural treatments of cranial work and every time my feet would touch the ground my body would reset and it would go back into the stage of my autoimmune issues. This was becoming very frustrating for all those that were trying to help me. I was on so many medications that I don’t even think I can remember all the names. I ended up in an electric wheelchair unable to hardly walk in the summer of 2013. If I was going to make a difference in my life something had to change quickly! I had some additional lab work done by the naturopathic I was working with at the time and found I have a lot of missing genes and other auto immune disorders and in order to correct these diet was going to be a big factor for me. I had tried some diets in the past but would cheat. So I made a very good effort to eat Gluten Free, Dairy Free, Soy Free, Garlic Free, Cranberry Free, Pork Free, Peanut Free, Sugar Free, Corn Free, and Kidney Bean Free and did a rotating food plan and whole foods. I became a Medical Marijuana Patient at this time in October 2013 and along with a very high dose of CBD day and night and a high level of THS at night I have gone from a wheel chair not walking to walking on MY OWN over 4 miles in Seattle’s Hempfest 2015. This is due to my “Special Medication” as my family and I call it and diet. I have very little neuropathy and more and more days none at all. I am, currently as of today, only on four prescription medications and this is for my thyroid that I am still working on keeping it in check. But this last lab was my very first one in over 22 years where my thyroid is actually improving and my Reverse T3 is almost to normal so my thyroid can work on its own again soon I am hoping. I started out with edibles then moved to smoking now vape. Today I use two different vape oils and vape them every 2-3 hours during day and once during the night. I have great faith in medical marijuana and it does heal! If you were to see my today you would have never known I was as sick as I was!